Our entire family's quality of life have improved since we purchased the sleeves.- Mackenzie k.
It is wonderful to have peace of mind that my baby can't scratch at night.- Morgan S.
Best buy so far for his allergies!- Jamie S.
Love it! Use it everyday! Thank you!- Michelle Z. 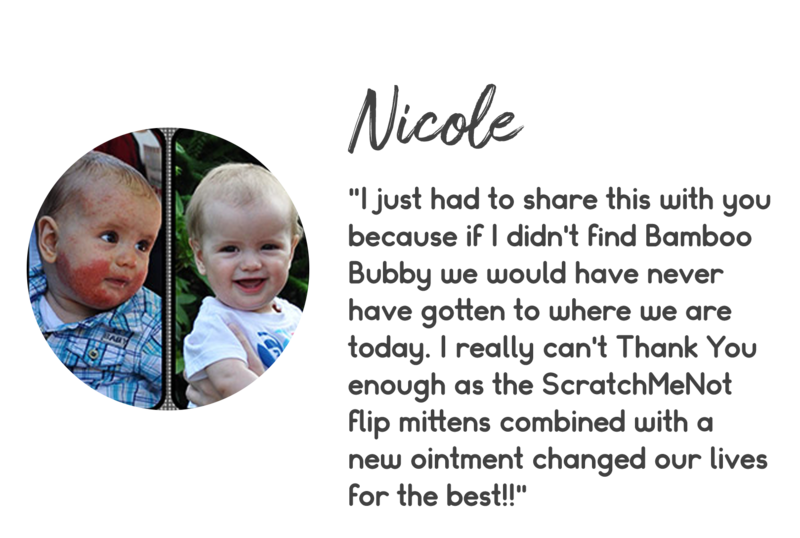 The ScratchMeNot has completely changed how we manage our son's eczema for the better!!! - Richard F.